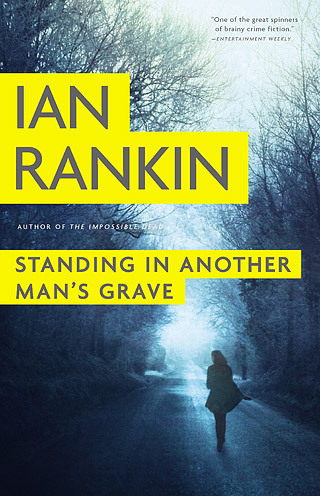 Ian Rankin soothed his many readers by bringing John Rebus out of retirement in Standing in Another Man’s Grave. Back as a retired civilian investigating cold cases, Rebus finds himself caught up in old cases of women missing from the same area. As he follows the trail, he enlists the aid of Siobhan Clarke, his former colleague and reluctant ally. Yet as he follows his instincts of their connection, he manages to find he’s unsettled people on both sides of the law. These includes Matthew Fox, Rankin’s newer protagonist from The Complaints, members of the team he’s working on, and even his old pal, Ger Cafferty. Rankin weaves a tale that will have his fans panting for more as he dangles the idea of Rebus going back to work on the force. 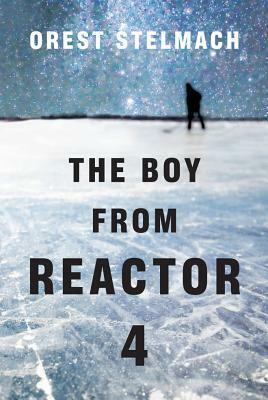 Ukrainian-American author Orest Stelmach debuts with The Boy From Reactor 4, fast-paced a thriller set against the backdrop of the Chernobyl disaster.This character-driven story is based on the author’s personal experiences in the region. There’s more than enough action here as the story follows Nadia Tesla to Russia and the dreaded Zone, where she follows a trail of intrigue that will affect the order of the world. Filled with tough characters living in a different kind of reality from what Nadia has known back in New York, help will come to her from a most unlikely source: a teen hockey prodigy named Adam. That this story is not really so far-fetched makes it all the more interesting, as the scars of radiation syndrome in the area make themselves known in ways that threaten more than just Nadia’s existence. 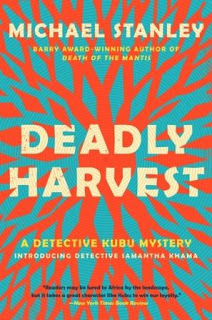 The fourth in Michael Stanley’s Detective Kubu series, Deadly Harvest takes readers to Botswana, where girls have been disappearing in increasingly alarming numbers, giving rise to the theory they are being used as part of witch doctor’s potion called “muti” which is thought to be strengthened by adding human body parts. The team of Micahel Sears and Stanley Trollip do a fine job of creating the atmosphere of the sub-Saharan area, and a glossary at the end deciphers Botswanan words sprinkled throughout. Adding to Detective David Bengu’s force is the only woman detective and the team’s newest member, Detective Samantha Khama. Her personal connection to the case ratchets up the tension, and when a local politician takes the law into his own hands, the two detectives have more on their plates with another high profile murder case. They must race to find a serial killer who is killing to satisfy a very special kind of customer. 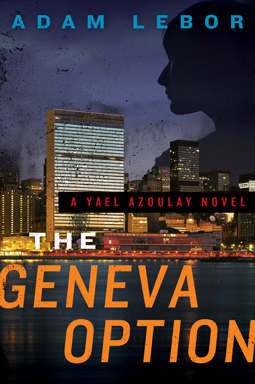 Adam Lebor’s Yael Azoulay thriller, The Geneva Option, opens with a riveting prologue that sets the stage for the action that will follow which centers around the UN. Yael is most unusual protagonist: an Israeli who works as a negotiator for the UN Secretary-General, where she finesses unlikely deals and barters for diplomatic solutions to untenable situations. When an expose threatens her livelihood and her reputation, Yael is shocked when she is not supported by the very man she worked for whose instructions she’d been carrying out. Gripping and raw in its reality, Yael is a character who can easily carry off this planned trilogy. As she sets off to clear her name, you’ll come to appreciate this unusual and feisty heroine in the first thriller from the author whose investigative work on the international stage is already well-known. 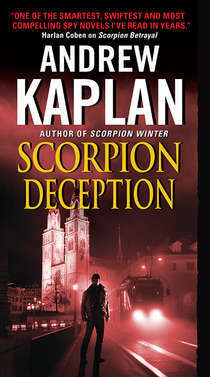 Fans of Andrew Kaplan’s Scorpion series will be delighted to find their favorite spy caught up once again in the newest entry in the series, Scorpion Deception. This highly charged thriller takes Scorpion on a fast-paced race through Europe and the Middle East. Classified CIA asset files have been stolen from the US Embassy in Switzerland. The challenge of squashing the hit team will be severe and Scorpion is at first not happy to take it on–until he finds his identity is at the head of the stolen list. With the knowledge the hit team is after him, Scorpion travels to Iran to try to find the mastermind power broker behind the theft in an attempt to thwart all out war. Fact-paced and action-packed, just the thing to keep readers flipping pages. North Carolina author Bill Cissna takes readers to an area he knows well: the streets of Pittsburgh, where Jack Larson has left the police after eight years to start his own private investigation firm. Freedom and independence called to Larson and he bought into that siren call, only to find that being employed for himself is not all it’s cut out to be. When he finds a body at a trailer part during what should have been a simple child-support dead beat case, Larson thinks his case is over before its begun. But he would be wrong, dead wrong, as it turns out, when the victim’s daughter turns up the following week and asks him to find her father’s killer. What starts out as a simple investigation soon turns into a trail of broken families, girlfriends and hidden guns. 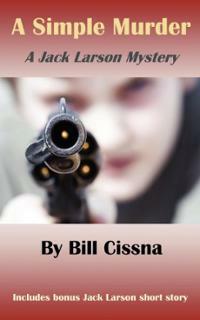 Cissa plans on bringing Jack Larson back in two more in this shades-of-noir series that entertains with its grasp of setting and history, and with Larson’s dry wit.